Mindfulness – I’ve heard of that! 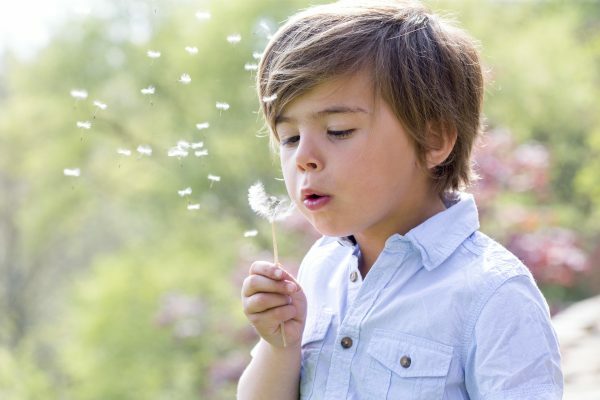 Close up shot of a little boy blowing dandelion seeds away with his eyes closed. It seems most people have heard about mindfulness these days. And, increasingly, it’s being taught in schools. But do you know what this practice really is, whether your children are practising it at school, and how you could use it together at home? Mindfulness is present moment, non-judgemental awareness. This means bringing your full and undivided attention to the present moment, and doing so with an attitude of acceptance in a non-judgemental way. Sounds easy? Maybe not? Like learning any new skill, practice is the key! Mindful awareness can be practised in various formal and informal ways. Formal mindful awareness practices include forms of sitting, lying and movement activities with a focus on the breath as an anchor. As you begin formal practice, you may notice all sorts of thoughts arising ­– This is hard, I feel irritated, I am doing this wrong… Or, you might find yourself thinking about what you have on your to-do list for the day. Or about how your mind darts around aimlessly. Don’t be concerned; this is a common and perfectly normal experience. Here’s the important bit. As you practice mindful awareness, simply notice your thoughts. You don’t have to try to stop them or judge them. Just notice them. And instead of getting wrapped up in them or letting them carry you away, let them go. By practicing mindful awareness regularly, you can develop, over time, the capacity to recognise these thoughts and feelings without attaching to them. In this way, you gain control over them and they no longer control you. Informal mindful practice involves simply noticing what is happening at any point in time – once again, in a non-judgemental way. This is an effective way to help you refocus. In 1950, William James, the father of Psychology, noted: “The faculty of voluntarily bringing back a wandering attention, over and over again, is the very root of judgment, character and will… An education which should improve this faculty would be the education par excellence.” (James, 1950) This faculty is mindfulness! The good news is that evidence-based mindfulness programs are now being introduced into schools from ELC to VCE. What are the benefits of mindfulness approaches for children and adolescents? I had to call to inform you that I was on the phone to a friend and we were having a conversation that I was obviously finding stressful. My son, who is in Year 5, could hear my end of the conversation. At the end of the call, he said, “Mum, I can help you calm down.” He then proceeded to sit me down and talk me through a brief mindfulness script that they do every day at his school. He told me it helps him to calm down. I’m so pleased that he is learning these practices at school they are skills for life … and he’s teaching me!